Seville is big. It’s the fourth largest city in Spain. It was founded by the Romans, occupied by the Moors, and latterly conquered by the Christian King Ferdinand III in the 13th century. 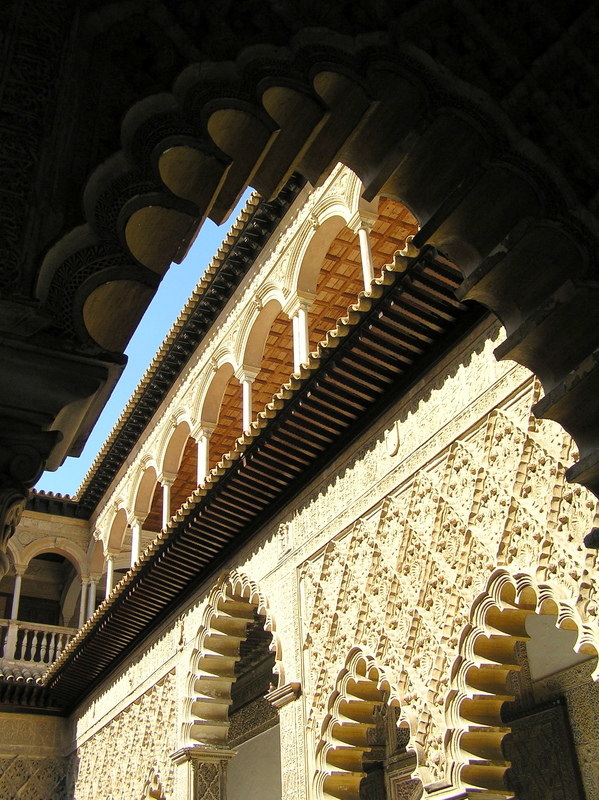 The city – like much of Andalucía – is now an exciting mix of Gothic, Moorish and Renaissance architecture. So: it’s big and has lots of interesting things to see. Not a great idea to attempt to cover it in two days, then. But that’s what I did. 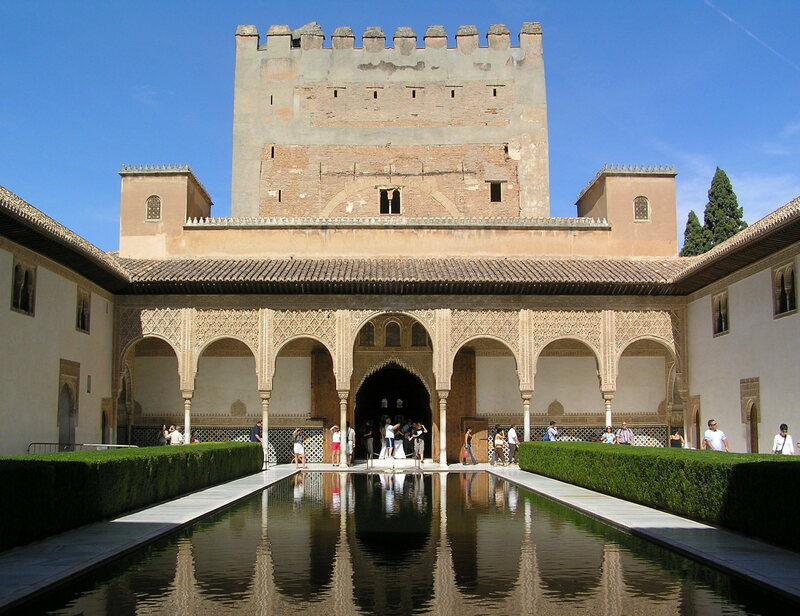 Actually, my trip – in September 2006 – took in Córdoba and Granada as well. So, it was actually an attempt to cover the highlights of Andalucía in four days. Much better! We stayed on the outskirts of the old quarter, a 30 minute walk to the imposing Cathedral of St. Mary. Interestingly, for those of you paying attention, on its completion in the 16th century St. Mary unseated Aya Sofya as the world’s largest cathedral (see previous post for more on Istanbul). Other interesting facts: it is the burial site of Christopher Columbus and its famous bell tower – the Giralda – was originally a minaret of the mosque that stood on the site. There are ramps inside the Giralda, rather than stairs, so that the muezzin could ride on horseback to the top to call the people to prayer. Don’t say I don’t try to teach you things! 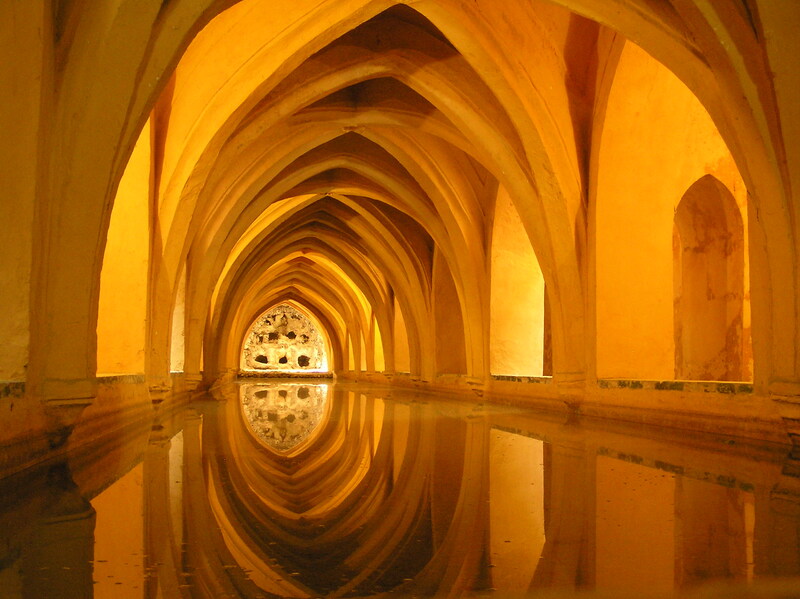 As impressive as the cathedral is, the Alcázar is more so. 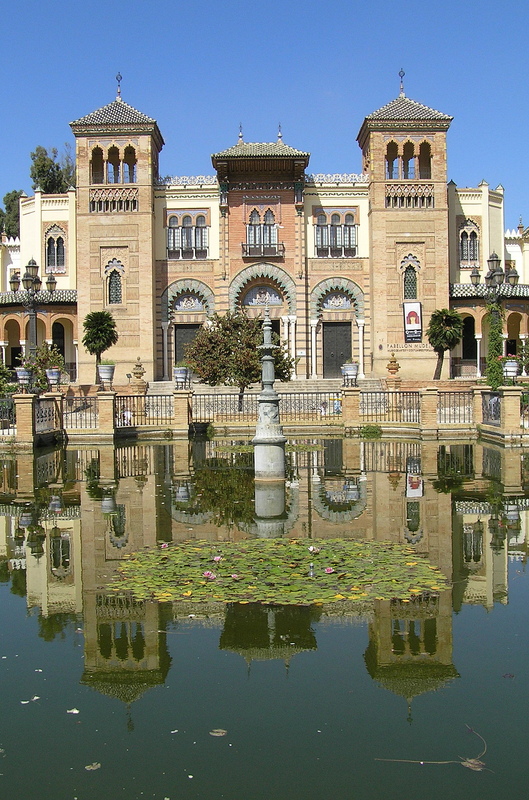 The palace is the oldest still in use in Europe (being used by the Royal Family when they visit the city) and is a beautiful Mudéjar complex. 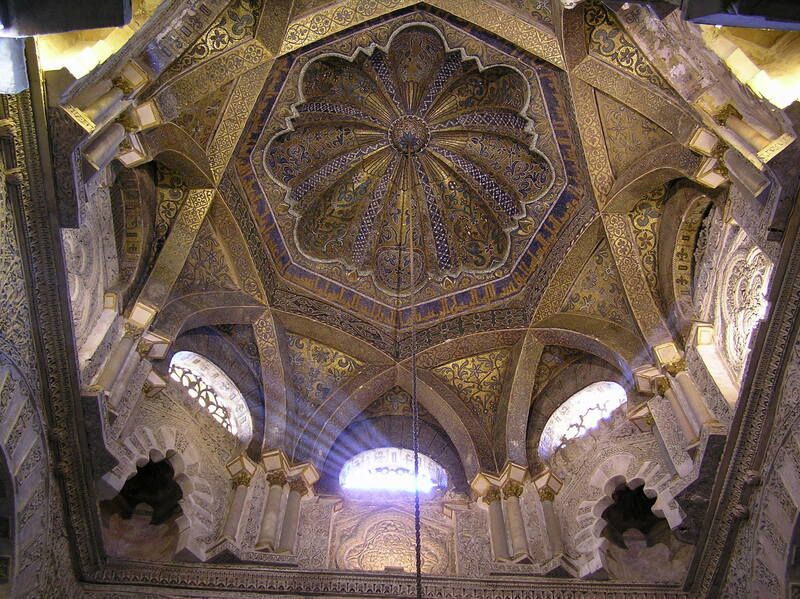 The Mudéjar were the Moors who remained in Iberia after the Christian conquest and the palace started life as a Moorish fort before being enhanced by subsequent monarchs in renaissance style. It’s beautiful. Archways, terraces, courtyards, gardens, and water features make an intricate yet peaceful compound. We also explored the expansive, and cooling, Parque de Maria Luisa, a lovely area that contains Plaza de España and other monuments of the 1929 Exposición Ibero-Americana (World’s Fair), and we walked along parts of the Guadalquivir River, beside which stands the Torre del Oro watchtower. After all that sight-seeing (well…before, in-between, after, anytime we could really!) we ate in some amazing tapas bars and restaurants. I can’t remember the names of them all, unfortunately, but I do remember the one I treated my dad to on his 50th birthday. Bar Eslava, located in a pretty square in the San Lorenzo district, had been recommended by my friend Helen who lived in Seville for a short time. I admit to being a little dubious when we passed earlier in the day to discover it was very small and completely empty, but I’m glad I kept the faith. When we returned in the evening, people were queuing out of the door and the staff were run off their feet. The menu was only in Spanish and we couldn’t decipher a word, so we just put our trust in the waiter and asked him to start by bringing us six things to try. The best tapas I’ve ever had (sorry Chris!). Pork cheek in sherry, marinated anchovies, stuffed mushrooms, jamón iberico, and so many more delights that I can’t now recall. And by the time we’d finished, our food and wine came to about 25 euros in total. I’d have felt a bit sheepish about choosing the place for ‘treat night’ except we both left with massive beams on our faces, so job done. Our trip to Córdoba fell on the hottest day. 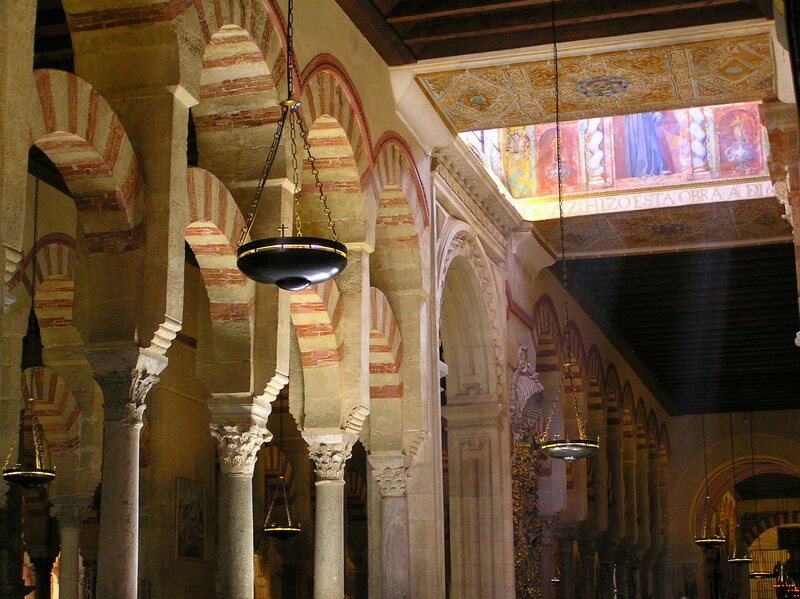 Luckily we spent much of our time in the cool and dark Mezquita. Formerly a mosque and now a Catholic cathedral, the space is a fascinating fusion of the two and its main hall, with its multiple red and white striped arches, is stunning. Back in the sun, the old town (the largest urban area in the world declared a UNESCO World Heritage site) was a wonderful place to wander around. The Calleja de las Flores, with its postcard view back down to the Mezquita, was quite crowded, but the rest of the town was reasonably quiet and we enjoyed meandering through the streets and in-and-out of shaded courtyards. Which leaves Granada…I saved the best ‘til last! An early start was needed for the 3 hour train journey, but I’d happily have travelled ten times as far to see the Alhambra. The Nasrid palace was built mostly in the 14th century, when it was converted into a palace from a fort by Yusuf I, the Sultan of Granada. The Muslim rulers were attempting to create ‘paradise on earth’, and I’d say they came pretty darn close. 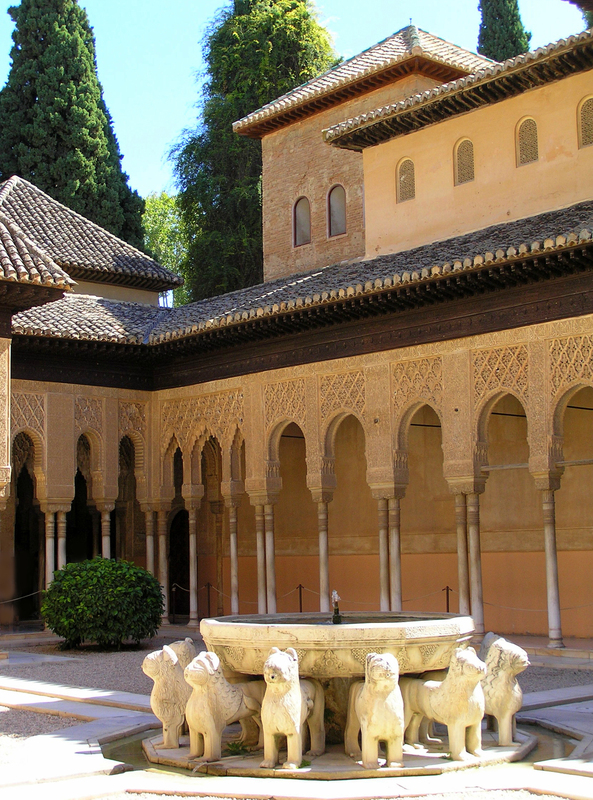 Together with the Generalife palace and gardens, the huge complex is simply breathtaking. The architecture is hard to beat and the different layers and spaces reveal new delights around every corner, with reflecting pools, archways and fountains providing endless photo opportunities. I’m not going to pretend I wasn’t clicking away the whole time. Obviously, for a view of the Alhambra in its entirety you need to be on the other side of the valley. The Albaicín district on the hill opposite, with its narrow Moorish streets and white-washed homes, has the perfect vantage point: Mirador San Nicholas. With dusk approaching, I sat looking at the Alhambra dappled in golden light, with the Sierra Nevada mountains as a backdrop. Heavenly. After some seafood paella in a square near the cathedral, we headed back for the train. What should have been a simple journey – if we’d have walked, as my dad suggested – became much more dramatic when it became clear our bus was headed for the coach station rather than the train station. Given we were catching the last train of the day, the urgency of correcting our (my!) error was acute. Stopping numerous times to ask baffled locals for directions, we sprinted in what we hoped was the general direction for about 20 mins, literally leaping on to the train just as it was about to depart. Indiana Jones eat your heart out! The train pulled out of the station and promptly stopped ten feet from the end of the platform for close to half an hour while a fault was seen to. Typical! This entry was posted in Travel and tagged Alhambra, Cordoba, Granada, Mezquita, Seville, Tapas on April 13, 2013 by victoriassecretblog.